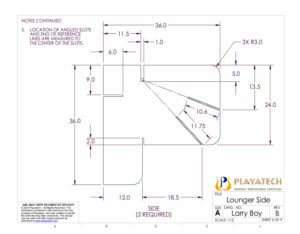 The Black Rock’s Leading Soft Place To Land! 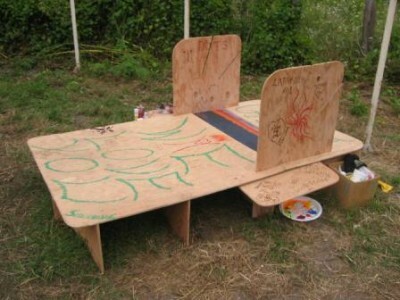 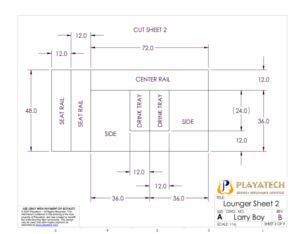 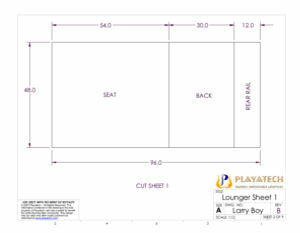 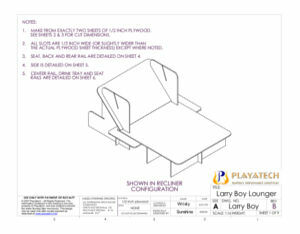 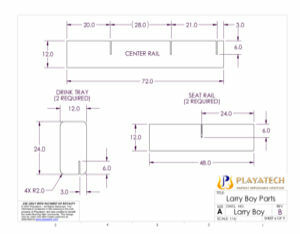 Playatech is ploud to plesent the plemiere ploduct in its Radical Seating line, the Larry-Boy Lounger! 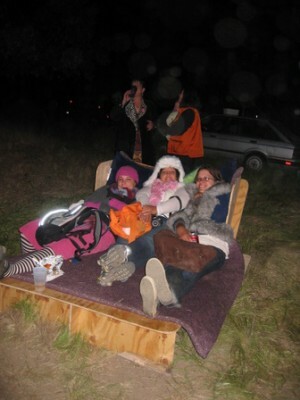 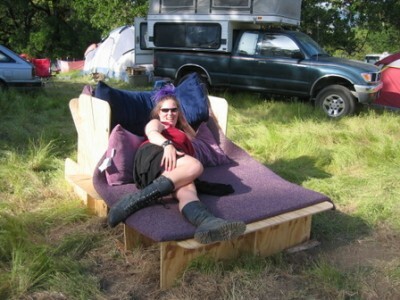 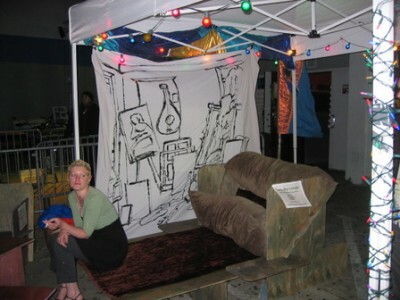 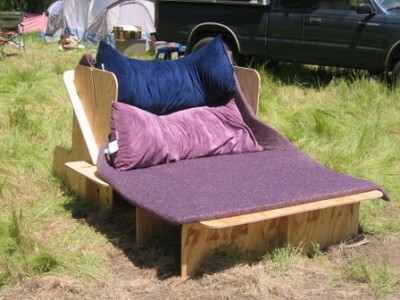 The Larry-Boy seats 6, snuggles 4, and sleeps 2, making it the ultimate piece of desert camp furniture. 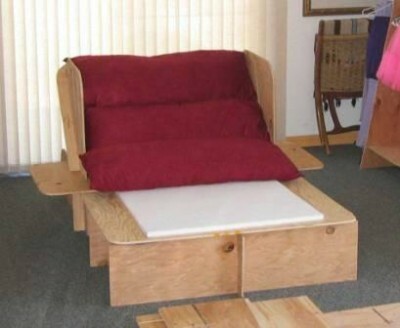 With ample shaded space underneath for small ice chests and slippers, it even includes a night table on each side! 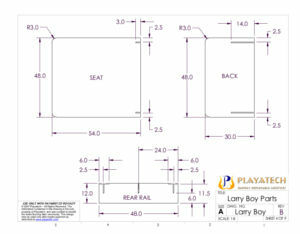 Made from exactly 2 sheets of ½” plywood, the Larry-Boy ships as 10 pieces taking up just over 2.5 cubic feet of space (padding sold separately). 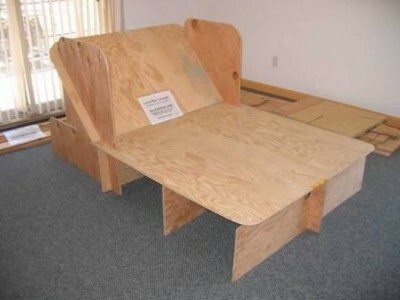 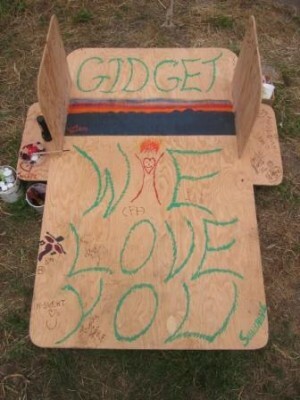 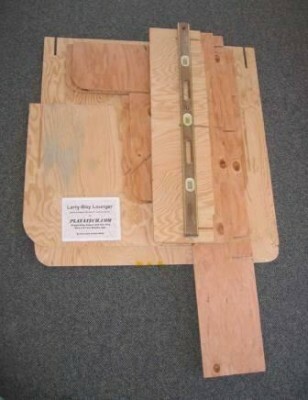 It can be assembled by one person in two minutes with no fasteners, tools or glue. 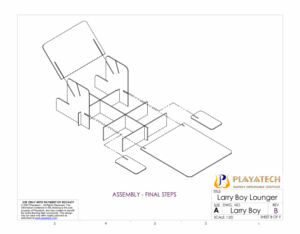 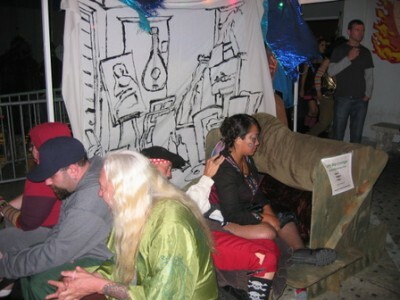 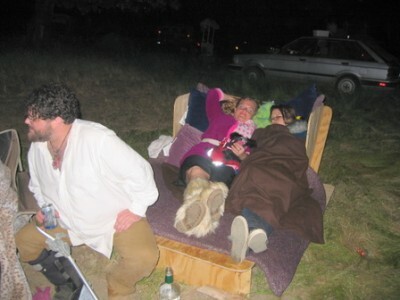 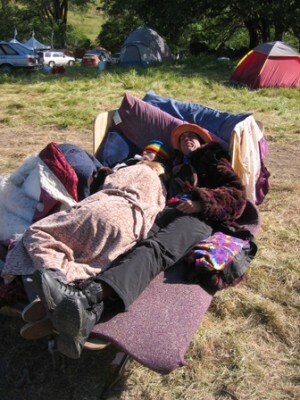 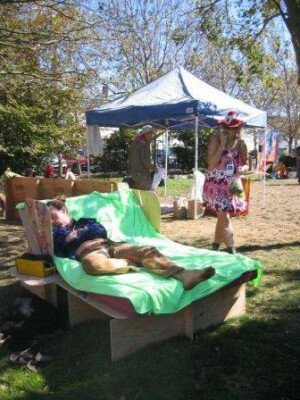 Compare to the best inflatable couch or bed you can find, and after a couple days on the playa, you’ll know why we claim the Larry-Boy as the world’s first inflatable convertible bed that won’t go pop till you cook it! 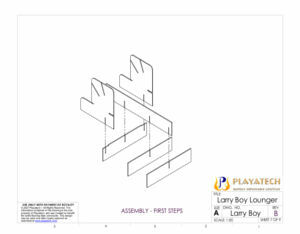 Plans for the Larry-Boy are now available for download, and price is only about $35 of plywood and a $10 royalty to the arts. 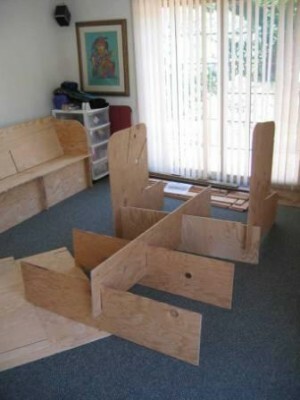 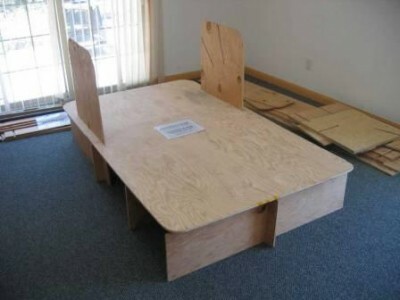 So go build yourself the ultimate playa entertainment center today! 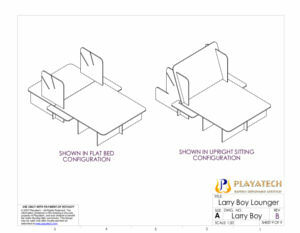 Only from Playatech.